This steel printmaking burnisher has a highly polished finish. It is ideal for burnishing out burrs or mistakes on your metal etching plate. 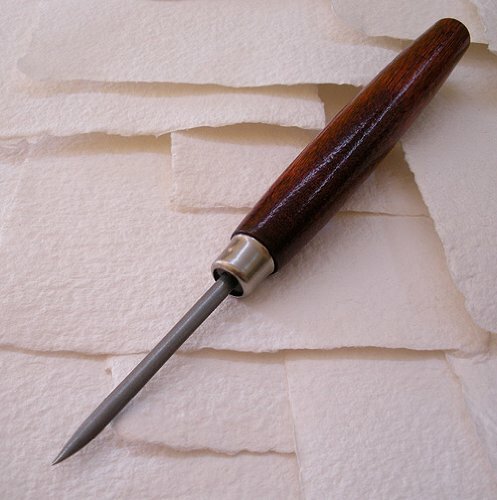 The sharp tip doubles as a line making tool or a drypoint tool. Wood handle. The burnisher measures 2 inches long; overall the tool measures 5-7/8 inches long. If you have any questions about this product by FineArtStore, contact us by completing and submitting the form below. If you are looking for a specif part number, please include it with your message.